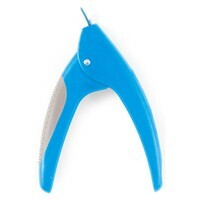 Ancol Ergo Dog Guillotine Nail Clippers are an effective and easy to use tool for trimming your dog's nails. They have a comfortable, anti-slip handle and are safe and accurate to use. Full advice on cutting and grooming your dogs nails is on the reverse of the products packaging.